Illegal leaks of classified information have reportedly reached "record high levels" during the Trump administration, according to a nonprofit group citing DOJ stats. 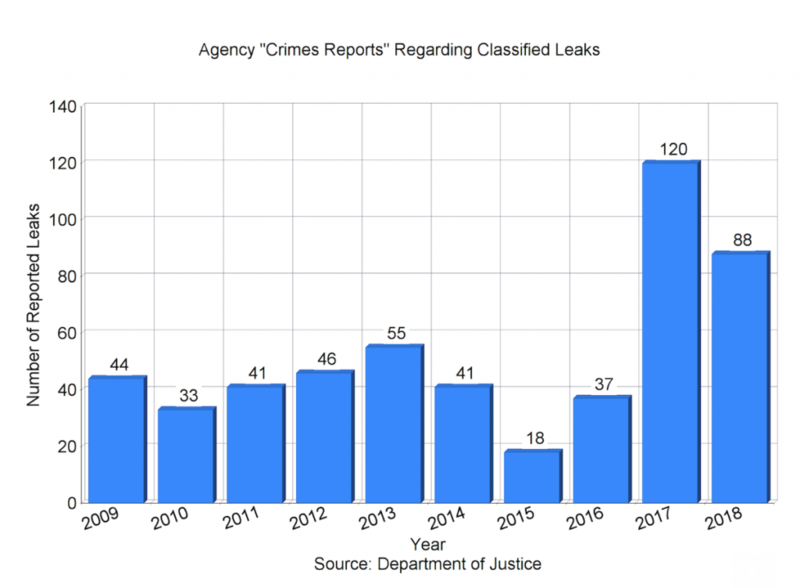 "Agencies transmitted 120 leak referrals to the Justice Department in 2017, and 88 leak referrals in 2018, for an average of 104 per year," the Federation of American Scientists reported, citing numbers issued by the Justice Department. "By comparison, the average number of leak referrals during the Obama Administration (2009–2016) was 39 per year." While Trump administration officials have sought to stem the flow of these leaks, they appear to have continued at record levels. "It has continued," FAS noted in its newsletter. "Despite preventive efforts, the 2018 total of 88 leak referrals was still higher than any reported pre-Trump figure. (The previous high in recent decades had been 55 referrals in 2013 and in 2007. The lowest was 18 in 2015.)." 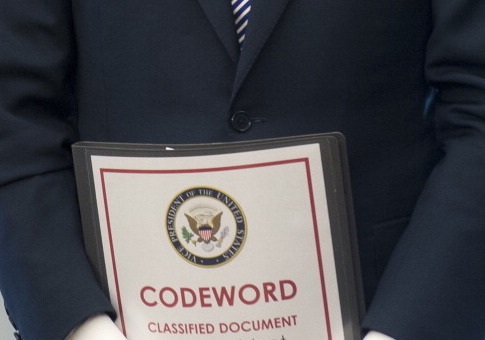 "The newly released aggregate data on classified leak referrals serve as a reminder that leaks of classified information are a ‘normal,' predictable occurrence," FAS reported. "There is not a single year in the past decade and a half for which data are available when there were no such criminal referrals." This entry was posted in Politics and tagged White House Leaks. Bookmark the permalink.